OTTAWA, ONTARIO--(Marketwire - Oct. 15, 2010) - Today, David MacKenzie, Member of Parliament and Parliamentary Secretary to the Minister of Public Safety, on behalf of the Honourable Vic Toews, Minister of Public Safety, observed the National Heavy Urban Search and Rescue (HUSAR) team during Exercise MAGNITUDE '10, which demonstrated Ottawa's preparedness to help citizens in the event of a natural disaster or other large scale emergency. The program allows government officials from municipal, provincial and federal public safety and emergency management organizations to view part of this national exercise that takes place in Ottawa from October 14-16, 2010. "Exercises like this are designed to confirm our preparedness for potential urban disasters. Intergovernmental collaboration is key to their success and ultimately to our response," said Mr. MacKenzie. "By working together to prepare for emergencies, we can more effectively protect the safety and security of Canadians in times of need. Canadians can be assured that these teams are constantly on the alert and ready to come to their aid." 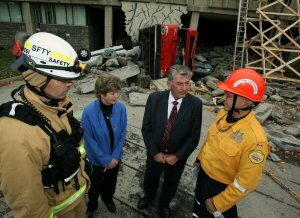 During Exercise MAGNITUDE '10, the City of Ottawa's first responders provided the initial response to a simulated disaster situation in the form of a major structural collapse caused by a fictional earthquake. This was followed by the deployment of Ottawa's Medium Urban Search and Rescue (MUSAR) team and subsequently the National Heavy Urban Search and Rescue (HUSAR) team. "The earthquake that hit Ottawa in June reminds us of the importance of preparing for the worst. 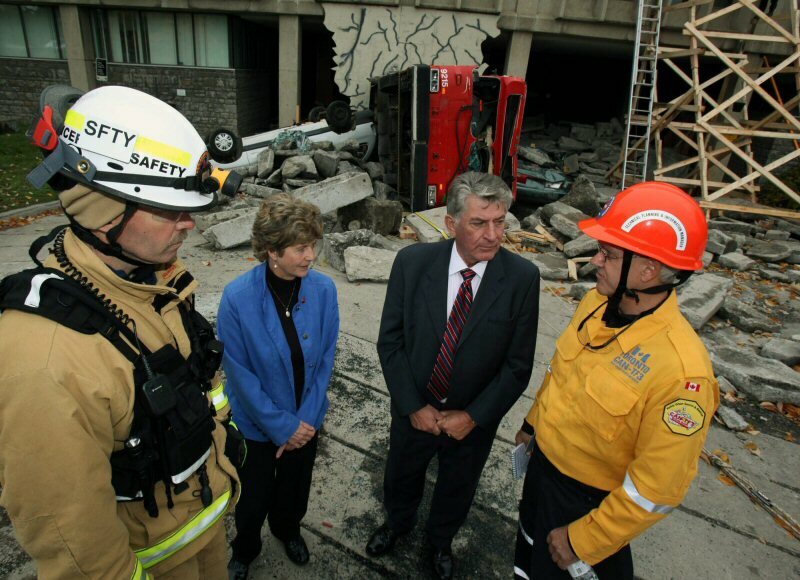 In emergencies, we rely on our police officers, firefighters and paramedics to keep us safe. Exercises such as this help make sure our first responders are well prepared," said the Honourable Jim Bradley, Ontario Minister of Community Safety and Correctional Services. Exercise MAGNITUDE '10 was developed in collaboration with the HUSAR Task Forces, Public Safety Canada, the Province of Ontario, and the City of Ottawa. "Ottawa is pleased to have our Municipal Urban Search and Rescue team working alongside 100 members of Canada's National Heavy Urban Search and Rescue (HUSAR) team during this unique training exercise," said Steve Kanellakos, Deputy City Manager of Operations at the City of Ottawa. "Our emergency responders are prepared for many types of disasters. We ask our residents to be ready at home in the event of an emergency, and we as a municipality are also prepared to help residents in need and return our city to its normal operations as quickly as possible." This exercise tests medium and heavy urban search and rescue capability and involves the movement of National HUSAR team members from Toronto, Ontario, Calgary, Alberta, Vancouver, British Columbia and the Province of Manitoba to Ottawa. The exercise provides an opportunity to practice integrating the Task Forces and allows officials to evaluate emergency preparedness in the urban context. Exercise MAGNITUDE '10 concludes on October 17, 2010. More information about the Urban Search and Rescue Program is available on Public Safety Canada's websites: www.publicsafety.gc.ca. For information on how to prepare for emergencies and other safety-related information visit: www.getprepared.gc.ca and follow us on Twitter@Get_Prepared.